I started my Swoon project long ago. It was born out of a fabric pull that I cultivated slowly, over the course of a couple months. While purple is my favorite color, this combination of lime, teal and navy has been my favorite color palette for the past year and a half. 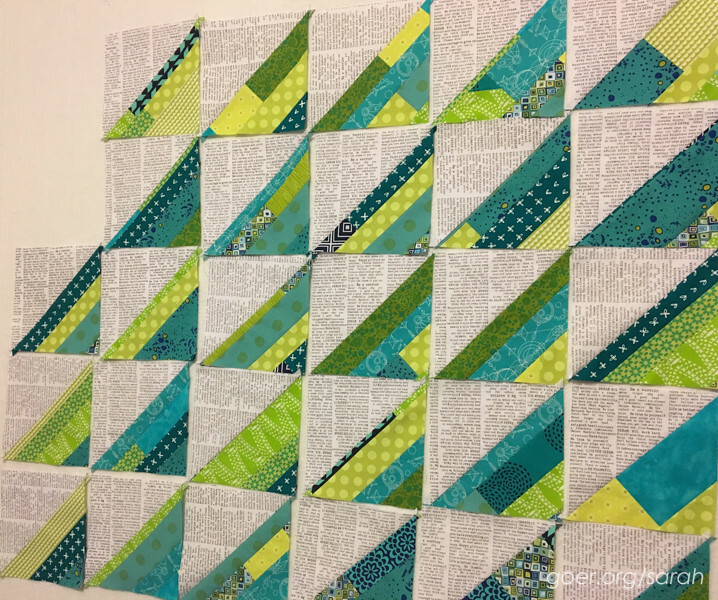 I used my scraps from the Swoon project to make my Sew My Stash Mini swap package. Then in February, I used my scraps from this palette to start my Creative HST project at QuiltCon. It wasn't until this post that I noticed that my first rosette of my La Passacaglia project is in my favorite palette, too! I made a fair amount of progress on my creative HST project. 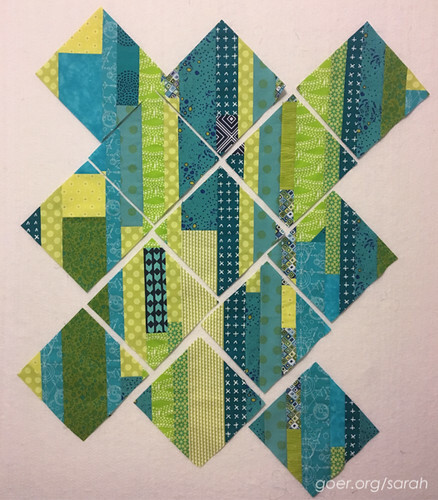 I chopped up my slab and pieced my half square triangles only to realize that my first 92 blocks had the strips going the opposite direction in the initial HSTs. 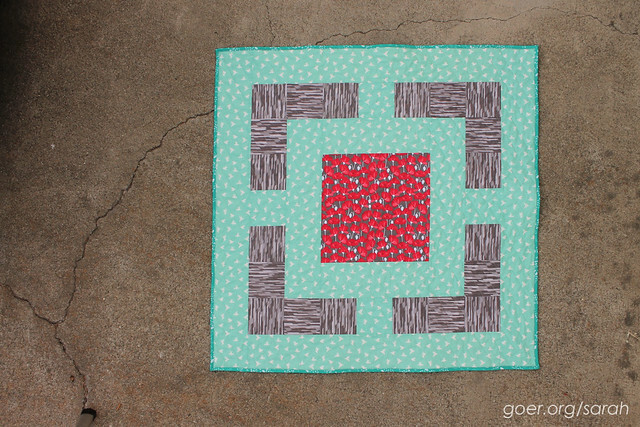 Thankfully the scrappy look is forgiving enough that the finished blocks play nicely together. I now have 148 finished blocks. There's a lot of trimming in my future. Then I'll throw them up on the design wall and get to piecing the quilt top. I have a couple ideas for how I want to quilt it, but I'm open to suggestions on that front. 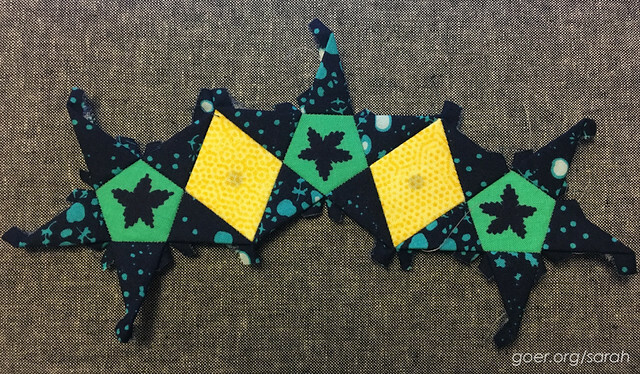 My hand piecing is creeping along slowly. I got the third star attached to the next ring of the first rosette. I have three open swaps at the moment. I'll be shipping the Heather Ross Mini Swap package next week. This fabric pull is destined for a swap extra. The other two swaps don't have deadlines until early 2017. I made my inspiration mosaic for the Hazel Mania Mini Swap and I'm looking forward to getting started on my plan for my partner. 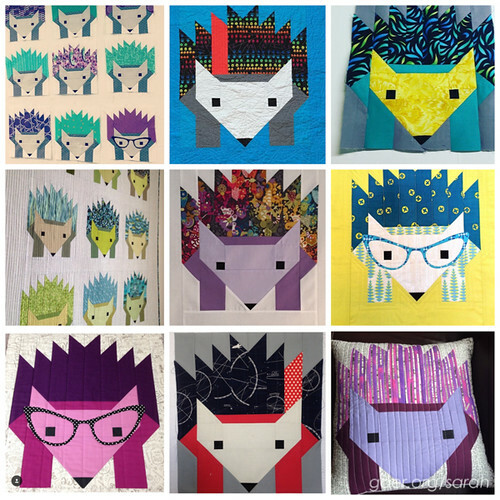 The other swap is the Modern Quilt Guild Swap. No plan on that one yet. Makers are tagged on Instagram. Thank you for visiting! I'm linking up to Midweek Makers and Needle and Thread Thursday. Posted in Quilting. 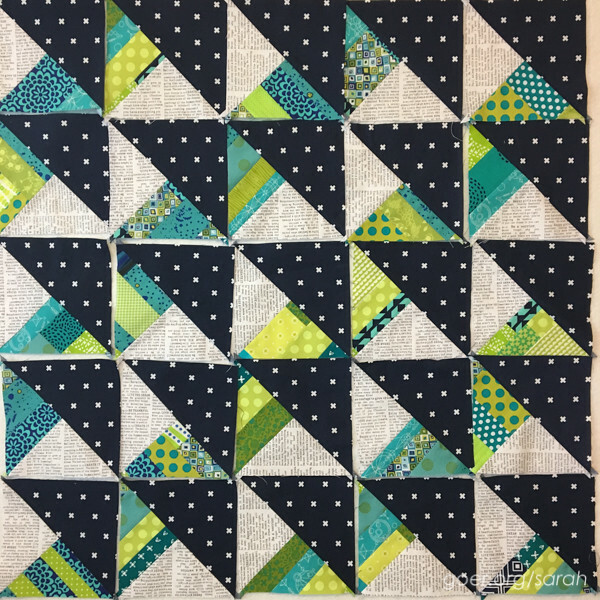 Tags: WIP, WIP Wednesday on October 26, 2016 by sarah. 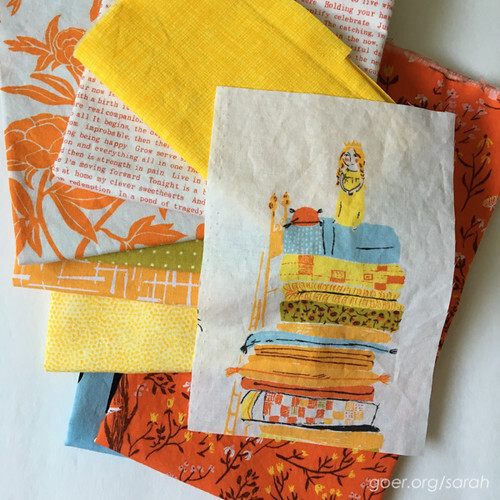 Sarah, you've got beautiful projects in the works! I like your favorite color palette too! I am so glad that your new Creative HST blocks play well with the original ones. I definitely wondered about purple and your favorite color palette; I can understand how a grouping of colors can be different from you favorite color. I like how that changes for me over time, too. Thank you, Yvonne. There are a lot of great palettes that include purple, but nothing that's currently as compelling to me as this palette. Glad you are getting to the pattern writing as this is an important goal for you. I also love the 1/2 square triangles. Thank you, Lisa! I'm having fun with the HSTs. Great projects....I love that color combinations!!!! I love your creative HSTs! They are so pretty and soothing! Your color palette reminds me of my daughters!